HP is releasing components of its webOS 3.0.5 as open source. WebOS CTO Sam Greenblatt has announced that the additional components will be branded as 'Community Edition'. Greenblatt said: "One of our core values is that as many components of future and legacy operating systems should be open to the community." The release is separate from HP's Open webOS - the company's large-scale open source project. 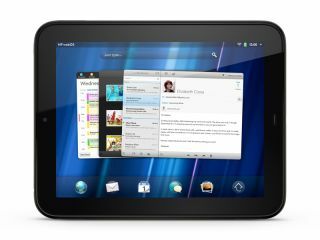 It is hoped that the Community Edition code will serve to keep webOS developers on board by giving them better access to code that powers "legacy" devices - that's everything from the Pre to the TouchPad. HP says that it hopes the release will help the community "better understand the platform and create a constructive environment for moving forward as Open webOS itself is released." The Community Edition code can be found at opensource.palm.com. HP predicts that alll the components of the Community Edition code will be available by June.